USM. 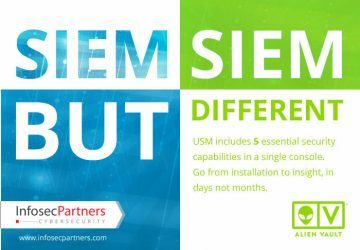 It’s SIEM, SIEM but different. Traditionally, the implementation of Security Information and Event Management solutions were limited to organisatons in the Large Enterprise bracket. Only these types of organisation could afford to procure SIEM solutions and have a large staff to manage it, as well as the other appliances that the traditional SIEM needs to be effective. But Unified Security Management by AlienVault changes that. The only Visionary in the 2014 Gartner MQ for SIEM. 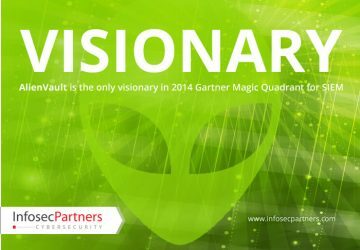 At the start of this month, July, the 2014 Gartner Magic Quadrant for Security Information and Event Management was released.That AlienVault again cements its position as the sole resident of the Visionary Quadrant for the second year running is extraordinary, given both the raft of vendors present there in the 2012 MQ and with the pace of development the Security Industry has witnessed.